Please complete this form before contacting us with your catering or vendor requests. Choose our Carry Out Menu if you'd like to pick up and serve Tiny Bubbles yourself. 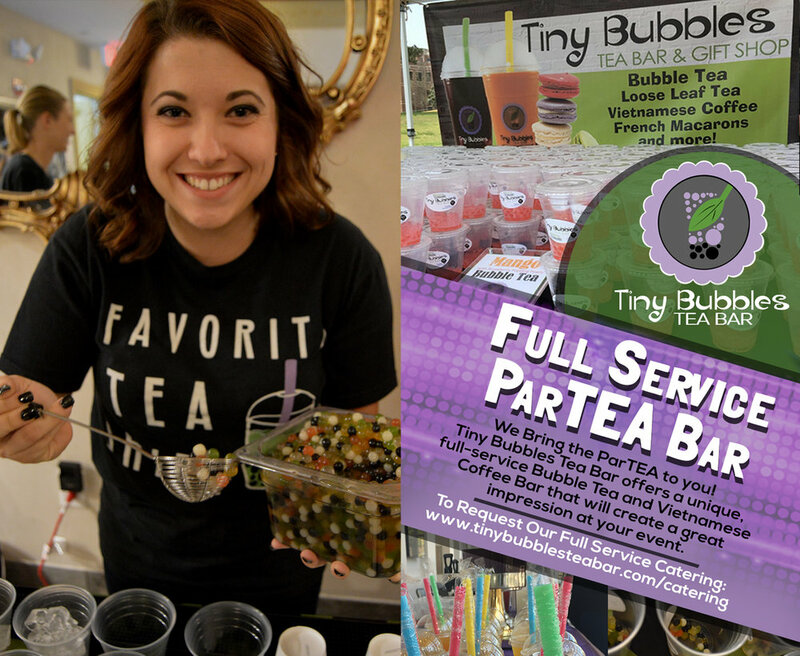 Take Tiny Bubbles along with you to your next event. We'll provide the tea, pearls, cups and straws.. you provide the serving.